At the beginning of the year, I posted 3 goals that I had for myself this year, professionally. One of those goals was to network more and develop a PLN. I am happy to say that I have been doing that through the use of Twitter. Twitter is an amazing tool for professional learning. I have gotten so many great ideas in the few short months that I have become a tweeter. I have participated in many chats, some as a "lurker" not saying much and some as a participant sharing ideas. Last night, however, I took a giant step and MODERATED a chat for the first time! At one of our district mini-sessions on twitter, we talked about chatting and how we, as a district, should chat more since our elementary and secondary librarians never meet together. Well, that was all that needed to be said to get my little wheels spinning. I sent out an email to the librarians saying that I would like to have a chat about the management and check out of Nexus tablets that a lot of us had gotten from a bond. I set a date, time and hashtag and hoped people would "show up". Last night about 10 of us chatted for about 45 min. Sharing concerns, ideas and brainstorming management of these eReaders that we were going to be checking out to students. What I loved most about the chat was that there were some new chatters that had never even posted on Twitter before. They saw how easy it was to become involved, even when their intention was only to lurk. 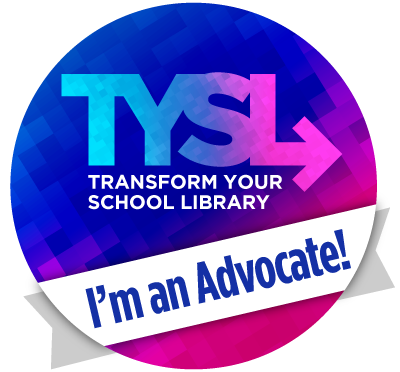 I am hoping that we will have many more opportunities to do this within our district as all librarians know that while this is the best job in the school, it is also the loneliest in the sense that you are the only one on your campus. I followed the chat for a little bit. Great job!